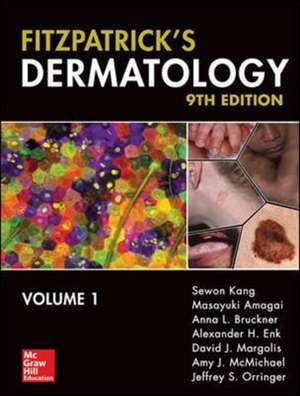 For nearly half a century Fitzpatrick's has been recognized worldwide as the field of dermatology's cornerstone text. This trusted classic covers all of the essentials, from the basic science of the skin to the day-to-day clinical issues of managing common skin disorders. Backed by the expertise of more than 500 world-renowned contributors, it is the reference of choice for clinicians, students, and educators. Fitzpatrick's skillful blending of science and clinical medicine is matched only by its scope, level of detail, and quality of presentation. The Ninth Edition continues this tradition of excellence with sweeping changes designed to make it even more relevant to today's practice and education.